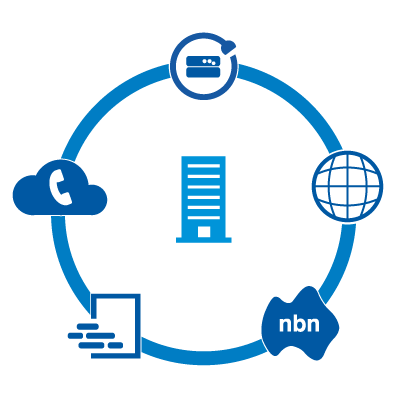 Stay connected with reliable, durable and future-proof communication solutions built on Australia's modern network. Keep in touch with customers on or off-site and enjoy business-grade features that maximise your efficiency. Reliable 4G mobile with excellent coverage. Flexible plans and pricing options. Keeps you connected anywhere, with big business features at a small business price. Reliable, high speed internet over the NBN, DSL Broadband or Ethernet Fibre. MyNetFone, part of MNF Group, operates its own IP communications network (the largest of its kind in Australia). Our network and products are purpose-built for modern business, helping you work flexibly, scale rapidly and future-proof your communications.